Today I have 9 parcels to send, all I did was book 1 for collection so the driver comes and 8 for drop shop then when the driver comes I give him all the parcels. Meaning I paid £13.19 for the 1 to be collected but £7.90 for the subsequent 8 so a saving of £42. Now i'm sure some will worry that this wont work and im sure there are drivers that would refuse for fear of trouble but think about it from the point that he is probably saving himself work + time and in my experience they'll take anything with a barcode. I think they just presume it must be booked in for the next working day. Worst case he refuses so you take them to the drop shop, absolutely no risk whatsoever. I'm of the view that the extra cost is because he is making a journey to collect but if he is already coming here anyway then why should we be charged the extra amount on every parcel? That must be some sort of deal, exc VAT? These are 18kg boxes btw, I know its cheaper for under 10kg. Good tip but some will here will screw it up not knowing g what to say or saying too much. Due to our heavy e-mail volume, I am sorry that I was not able to answer your inquiry on time. Yes, you may hand over your pre-labelled parcel to our driver to avoid another collection fee. If we may assist you in the future, please feel free to contact us. That must be some sort of deal, exc VAT?These are 18kg boxes btw, I know …That must be some sort of deal, exc VAT?These are 18kg boxes btw, I know its cheaper for under 10kg. Haha, find a courier without an unhappy customer. Far and away the most solid courier in my experience. No - it's the standard price but it goes up by volume and weight. If you look in the vans UPS are the only ones I've seen that actually have racking to put the parcels on. Best couriers in my experience. Meaning the customer needs to collect at the other end. Fine if its someone you know but less so otherwise. 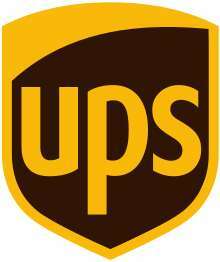 UPS Access Point™ to UPS Access Point™Meaning the customer needs to col …UPS Access Point™ to UPS Access Point™Meaning the customer needs to collect at the other end. Fine if its someone you know but less so otherwise. Tell a lie you are right, but still no good for heaver ones. £6.00 inc VAT delivered to door dropped off yourself. Also £50 insurance free. Thats good, most are using that as a way to charge more now. I did pay for a guaranteed delivery date the other week through p2g as it was DPD to Greece and the date seemed very close and it failed, couldn't believe they paid out immediately and refunded the full cost. Usually they are not as easy as Interparcel to resolve issues. Ive never used this before tbh, will look into it though thanks. Cheers OP. Good to know! I've found UPS to be the best service by far! Never had an issue with them and used them loads of times. Ironically, I frequently find their 1 day service to be cheaper or the same price as Hermes 3-5 days service and with insurance and signing included. Cheers OP. Good to know! I've found UPS to be the best service by far! …Cheers OP. Good to know! I've found UPS to be the best service by far! Never had an issue with them and used them loads of times.Ironically, I frequently find their 1 day service to be cheaper or the same price as Hermes 3-5 days service and with insurance and signing included. I think long term Hermes never pay off. I think id only use them to send clothing in a sealed bag. I think long term Hermes never pay off. I think id only use them to send …I think long term Hermes never pay off. I think id only use them to send clothing in a sealed bag. I agree. I avoid Hermes where possible. Sent a TV, screen arrived smashed to bits even though was packed in its original box with tons of bubble wrap. The damage is so extensive it looked deliberate. Obviously TVs are excluded from any form of compensation. Never again, avoid like the plague. Sent a TV, screen arrived smashed to bits even though was packed in its …Sent a TV, screen arrived smashed to bits even though was packed in its original box with tons of bubble wrap. The damage is so extensive it looked deliberate. Obviously TVs are excluded from any form of compensation. Never again, avoid like the plague. Tbh I think all brokers exclude screens. I think Parcelforce might take them if yo book direct, special delivery in the post office 100% will. Just be aware that you don’t usually get a receipt when giving a drop-off parcel straight to a UPS driver. This means that it’s first scanned when it first reaches the depot. There is a (low) risk of things going missing without trace using this method. At least in the drop-off shop they give you a receipt to prove you’ve dropped it off. Voted cold as UPS has to be worst delivery service going. Had so many problems with them and thier customer service is dire to go with it. UPS, one issue in 15 years. Had the same driver on my route in that time.. Wouldn't go elsewhere for pickups.